Goldmine Stocks has been a member of various national exchanges like NCDEX, NSE, ICEX, MCX, BSE, and others. Goldmine Stocks brokerage review will elaborately discuss the company’s products and services with a special focus on the different charges ranging from the brokerage to the statutory charges and other charges like account opening and others. This article will also enlighten the readers about the different offers and benefits investors get from the broker house. Goldmine Stocks is a privately held company that works as a full-service broker. It is based in Gujrat, Ahmedabad and it was promoted by Hina Vora who is the first lady share broker in the country. This company is listed on the Ahmedabad stock exchange. The company came into existence in the year 1994 and it has been 25 years now for which the company is servicing the investors. The brokerage charges of Goldmine Stocks varies according to the asset classes and segments. For the equity delivery segment, the rate is 0.15% and for the intraday segment along with the futures and the commodities segment, the rate is 0.02%. For the equity options and currency options the rate is fixed at Rs. 15 and Rs. 10 for each lot traded. For trading shares, you need to pay certain mandatory charges which do not vary from one broker to other and those charges includes STT and SEBI turnover charges which are charged at 0.0126% and 0.0002% on the whole turnover. Apart from these two charges, there is compulsory stamp duty which one needs to pay as per the stamp duty charges of the state he or she is trading from. This charge is quite nominal though. The Goldmine Stocks charges also include the transaction charge which varies from one broker to another and for this company it is 0.00325% and on this charge along with the brokerage the trader pays, GST is charged at 18% on each transaction. Goldmine Stocks account opening charges is Rs. 330 which is payable while applying for the account. 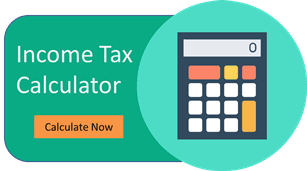 This is a onetime fee which you have to pay and apart from this there is a yearly fee for maintaining the Demat account which is Rs. 250. The AMC for a trading account is Nil. The margin money requirement for the company is Rs. 10000. 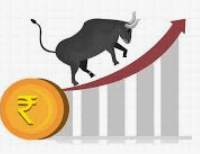 How to Open a Demat Account with Goldmine Stocks? Click on the green button below to open the application form for Demat account opening, fill and submit it will the required details. The representative of Goldmine Stocks will call you on receipt of the application and fix a meeting for further verification and KYC process. On the day of the meeting you have to give the PAN, AADHAAR, Voter and other KYC documents like address proof, financial statements to the representative. The representative will take those documents and after verifying everything will revert with your login credentials if your application gets approved. You can start trading once you get the login details of the account. Why Open Goldmine Stocks Trading Account? The list of Goldmine Stocks products includes the general share market instruments like equity, commodities, currency derivatives, futures, and options. However, the list also includes mutual fund investments and that gives the novice investors a great chance to trade. The company provides both lump sum MF as well as SIPs and apart from these two financial products, the company also offers insurance of different nature to cover your risk of life and financial loss. The services of Goldmine Stocks includes the general stock broking services of intraday trading, Demat and Trading account services, IPO related services is also on the list. Free stock tips: The market is volatile as we all know and thus, price changes every day for each share and thus the research team dedicatedly picks the shares which are going to do better in the future and share it with the investors. Top Picks: This is similar to the above service but the only difference is that only the top shares or stocks are recommended for the day or the week. IPO reports: Information on upcoming IPO and recent IPO are shared for making an investment in them. Monthly and Weekly Reports: Research team dedicatedly report about the stocks you invest in a monthly and weekly manner. Those reports carry all the details of the stock and the respective company and their operations in the due time. Goldmine Stocks advisory services is not limited to the online reports and the information but it also presents in the offline mode. One can also call the Relationship manager for the information or guidance they want. The maximum leverage you can get is on the equity intraday deals, here the Goldmine Stocks exposure is up to 6 times of the money you invest in real. For the other segment, like equity futures, currency futures, it is 4 time, 5 times for the equity options and 3 times for the currency options. For the commodities, the exposure level is 2 times. Here are the thorough details on various trading platforms offered by Goldmine Stocks to its consumers. The Goldmine Stocks trading terminal is a software that you need to download from the website of the company once you become an account holder. This software can work on both Windows and Mac platform. The broking house is yet to develop the web-based trading platform for its clients but sooner or later it can be expected to come around. You can set email alerts for your deals. With 283 branches of customer care service centers across the country, Goldmine Stocks customer care is prudently taking care of the clients and the investors. If you face any difficulty with trading, trading terminal or anything related to trading on Goldmine Stocks platform you can call or email them. Last year only 3 complaints on NSE was registered. Those complaints were resolved in the same year. With 25 years of experience in the share market business, this company still thrive to get the best for its clients and investors. As per investors, trading on Goldmine Stocks platform is a unique experience.